Several years ago, my wife Megan and I went on a beach vacation, and an inflatable pool float at a Winn-Dixie grocery store got me to thinking about the value of packaging when you as a freelancer or creative want to build your brand. 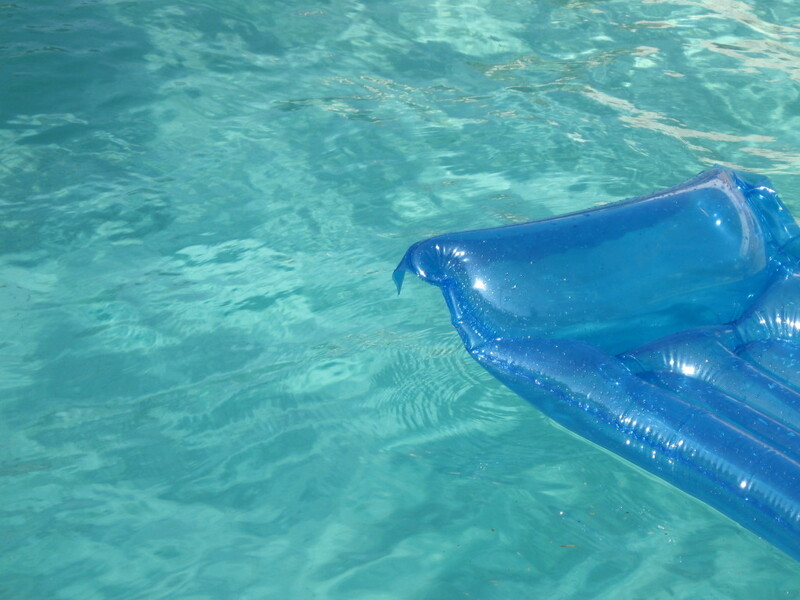 A basic pool float—you know, the kind that steals all your grace and dignity as you attempt to wallow up on it—typically costs around $3. But at the Winn-Dixie near our vacation rental, the same float already filled with air costed twice as much. I can’t help but appreciate the idea: Winn-Dixie pays an employee $10 an hour to inflate floats with an air compressor. At two minutes per float, and thirty floats per hour, this simple task nets the grocery store an extra $170: 30 floats x $6/float – $10/hour = $170. That’s a tidy profit for packaging up what is, in essence, free air. But of course, people aren’t really buying air, but the convenience of not spending the first fifteen minutes at the pool biting plastic and sucking wind. They are happy to spend $3 on this luxury. So what type of air can you sell? Packaging is rarely just packaging. It is an opportunity to create a desired perception. Think about plating at restaurants. Add a drizzle of Aleppo chile gastrique here, a sprig of rosemary there, and your artful presentation can turn ordinary ingredients into gourmet cuisine. Think about a head of iceberg lettuce. Buy it intact, and you pay $1. Buy it washed, shredded, and bagged, and you pay $3. Think about water. If you filter, fortify, and flavor it, you can charge 50-100 times as much as it costs out of the tap. Bottled water costs more per gallon than gasoline. Put on your thinking cap for fifteen minutes, and you can probably come up with several inexpensive ways to tweak or augment the “packaging” of your products and services while dramatically increasing their perceived value. Is the design 24x better? Another more nuanced example of packaging can be found in website design. For awhile there, Design By Reese offered “luxury website headers,” starting at $120. Reese Spykerman is without a doubt a talented designer, and a premium product warrants a premium price. “Premium” is often just a synonym for fancy packaging. In the case of By Reese, that packaging came in the form of a simple, easy-to-read website, the limited availability of the headers themselves, various customization options, bundling (four “free” icons included), and most subtle of all, the satisfaction that comes from believing one has purchased quality. That being said, do Reese Spykerman’s designs cause websites to convert better or lead to more sales offline? Is every one of her $120 designs 24 times better or more effective than every design created by a fiver.com seller for $5? You can buy a custom header from over 100 different designers on fiverr.com for $5. The experience of unpacking a new MacBook Air from its clean, white packaging is undoubtedly a pleasant one. Yet, the hard value of good packaging can be difficult quantify. Value is in the eye and wallet of the beholder. Take a moment to ponder how you currently package your own products and services. Can you add more value with minimal expense? Hopefully, the next section will spark some ideas in that creative brain of yours. Free Set-up and/or Delivery – Can pay someone $8 an hour to inflate your float or bag your lettuce? My friends at Raise the Tree deliver and set-up Christmas trees. My friends at Cirkel make regular runs to IKEA and deliver assembled furniture to their customers. How can a little more effort on the front end make the experience of working with you more convenient? Guarantees – Nothing proves that you stand by your work (and endorse quality) like the promise of a full refund. It’s likely that no one will ever ask, and even if they do, you still have more to gain than to lose by taking all the risk out of working with you. Higher Prices – Pricing is branding. Price is perceived value. Charge more, and many of your clients like Reese’s will believe at a subconscious or conscious level that your work is better. 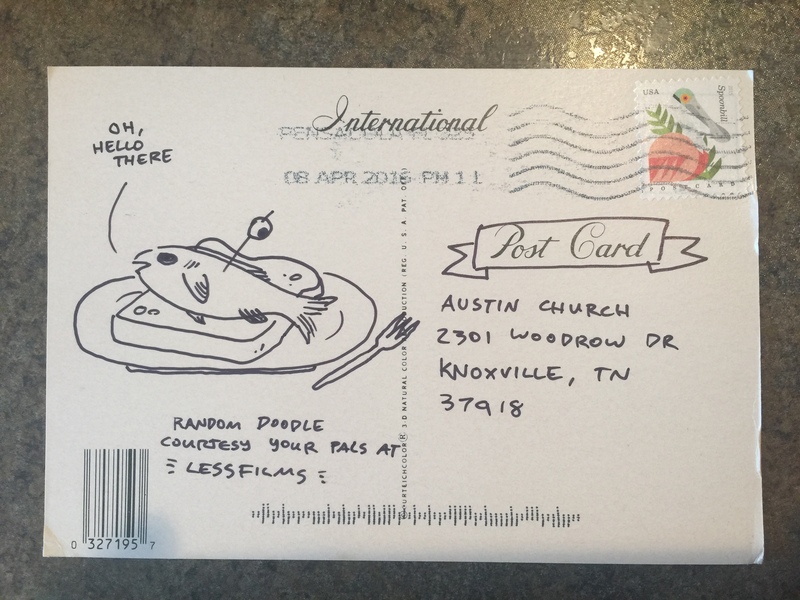 Hand-Written Notes – I’ve received them from a local realtor, from a dry cleaner, and from Upwork.com. I obviously remembered it. 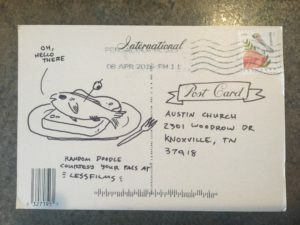 Most recently, I got a postcard with a doodle of a weird sandwich from Less Films. So awesome. Humor – MailChimp sprinkles whimsical remarks and links all over the site. Personality – Jessica Hische has created several whimsical viewing modes on her website, including Teen Girl, Swiss, and Field Notes. Wexley School for Girls is an interactive agency, but they’re the antithesis of boring. Birthday Club – Send a $5 gift to some place like Starbucks to your clients. Say you’d love to catch up sometime. Even better, buy your clients a birthday lunch. Discounts on Other People’s Stuff (OPS) – Use your network to negotiate better rates on OPS—everything from web hosting to lattes at the local coffee shop. It can’t hurt to ask. The worst those businesses can say is no. Free Upgrades – Zappos blew my mind (and gained my loyalty) the first time I received a follow-up email stating that my order had been upgraded to two-day shipping for free. Freebies – I love the Five Guys model: Buy a burger and get as many toppings as you want for free. Do you have a free guide, ebook, training session, or video series that you can throw in for free to build goodwill? Connections/Introductions – Do you know someone who could help one of your clients? Be proactive about making introduction (and combine with #8 when possible). Kept Promises – Beat or meet deadlines if it kills you. Gifts – I send clients and prospects my favorite books, particularly Give & Take, on a regular basis. I bought one client a gift certificate for some ultralight camouflage gear from Kuiu he had mentioned in passing and another one a massage and free babysitting. Education – An infographic, short guide, or video that walks clients through your creative process will reinforce your professionalism and help you avoid potential blowups and miscommunication caused by initiated clients. Weekly Updates – Make it very clear how much value you’re creating by sending regular updates with a concise yet comprehensive play-by-play of your efforts on their behalf. Publishing – Make a weekly post on your blog. Position yourself as an expert and thought leader, which is exactly what I’m doing with this post. Contests, Giveaways & Prizes – The allure of Cracker Jack and cereal box prizes never goes away. One of my favorite examples of this was the DesignHope contest that FortySeven Media did a couple of years back. They gave away a full-blown design and web development package. The catch was that people had to apply, and they chose as winner the project that they found most interesting. To attract better clients, you must create premium packaging. Now, go forth and blow up pool floats. And sprinkle some glitter on that thing. P.S. Keep an eye out for a new DesignHope giveaway. Jon Longnecker and I will be collaborating on it, and I’m excited to share more in the near future.